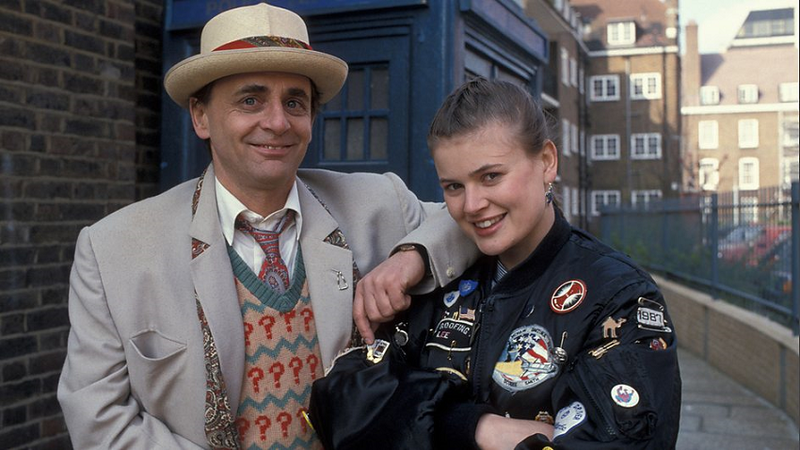 The first in a new series of articles in which Andy Frankham-Allen, range editor of Candy Jar's Lethbridge-Stewart novels, takes a look back at some of his most important Doctor Who memories. You know, I could talk about Remembrance of the Daleks forever. It has its flaws, especially now, twenty-six years on (yikes! Yes, over a quarter of a century already), like the wobbly Daleks or the incorrect edition of The French Revolution book, but it has so much going for it. 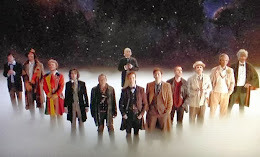 It was the perfect opening adventure for the twenty-fifth anniversary season (indeed, I still think it should have been the twenty-fifth anniversary story); it was set in the same fictional location as the very first Doctor Who episode, it had the Daleks (a staple of 1960s Doctor Who), and it had more continuity than you could shake a stick at. Never too obtrusive, but enough to please the long-time fans. There is so much more I can say. I could even tell you the story of how my VHS cassette onto which I taped the story had a problem – the first episode would speed up and slow down at odd moments, rendering some of the most interesting dialogue in twenty-five years of Who – such classics lines, like the Doctor, after hearing Gilmore’s bewilderment at the idea of a death ray, saying ‘not as predictable as spots’. And Allison, upon learning that a soldier had been shot by a Dalek questions it with, ‘daddy, are you sure?’ For years I was puzzled by such dialogue, until the video got released some years later. ‘What a predictable response’ and ‘dead, are you sure?’ make a whole lot more sense, I’m sure you’ll agree. But you know what? I’m not going to tell you that story. I have two others I want to share with you. The first is from 1988, before the story was even transmitted. Back then (twenty-six bloody years ago! ), I lived in a place called White City in London. I had only been back into Doctor Who for a year (don’t ask me why, but Time and the Rani episode two brought me back to the fold), and so was rather looking forward to this new season. I had started getting Doctor Who Magazine again and knew all the rumours. The Daleks were coming back! Woo! Good time to get back into Doctor Who, right? One of the places I visited the most was Hammersmith, King’s Street, the hubbub of shopping for those living in West London. I knew the area pretty well, spent a whole load of time there. Except for one particular week. And that week just so happened to be the one the Doctor Who team were filming Remembrance of the Daleks in Macbeth Street, Hammersmith. I only found out the next day in the local paper. I couldn’t believe it! I’d have loved to gone and watched Daleks trundling along the streets, the Doctor differing over whether to enter the TARDIS or not. But no, I had missed it totally. Years later, in 2005, I had moved back to Wales and guess who followed me there? Yes, the Doctor Who production team! I’m pretty sure they knew. So, believe me, I made sure I was on hand for at least one day of location filming. Should have been uber exciting, but it turned out to be a rather tedious and long night of exploding market stalls, falling Christmas trees and Santas with flamethrower trombones. Oh, and Billie Piper and Noel Clarke. I often wonder if watching Remembrance of the Daleks would have been more fun. Would rather have seen them land a shuttle in a playground than a large Christmas falling down. 1988, I was fifteen, so yeah, most likely would have been. Daleks! Hmm, come on, who wouldn’t want to meet the Daleks in real life? No? Just me, then? Okay. They turned a corner into Macbeth Street, and once they had neared the school that stood there, Jake noticed the police box in an alley alongside a block of flats. Jake smiled. At last they were getting somewhere. This little excerpt is from a short story I wrote for Big Finish back in 2004, and fans of Remembrance of the Daleks may just well recognise the above place as the location used for Coal Hill School in that story. When I wrote that story I intentionally set it in and around Hammersmith because it’s a place I know so well from my own youth, and it’s always good to write about what you know. Having set it in such a location, I couldn’t resist having the TARDIS land in the same place the police box prop had once stood in 1988. I may have missed the location filming, but in my fictional universe of Doctor Who I could at least visit it through the eyes of Jake Morgan. Plus, it made a nice little Easter egg for fans of the show. To my knowledge, other than my sister, no one picked up on it. But, you know, that’s fine. Every time I think of that scene, I find myself wondering why the Third Doctor never spotted Coal Hill School opposite. Maybe he did. Maybe he even went inside and replaced the incorrect French Revolution book with the one Susan actually borrowed in 1963. Maybe.